Texas pitmaster Joe Duncan opened his first restaurant in Fort Worth in 1979. In 1988, he relocated to Dallas and founded Baker's Ribs. 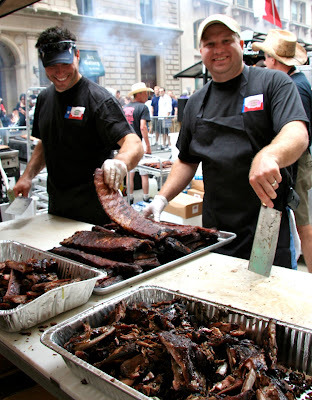 St. Louis-style ribs & jalapeno coleslaw; these were our favorite ribs at the Block Party -- tender and juicy!